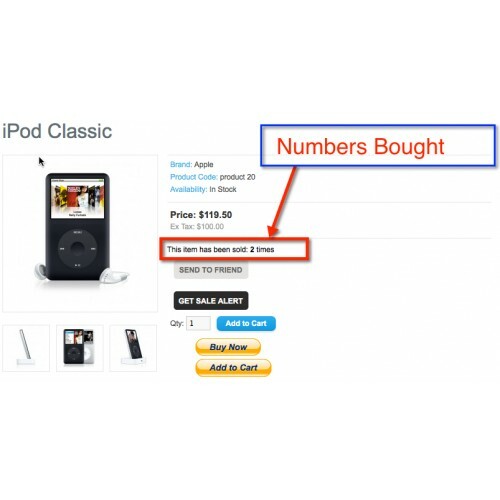 This module shows the total number of items sold on the product page. 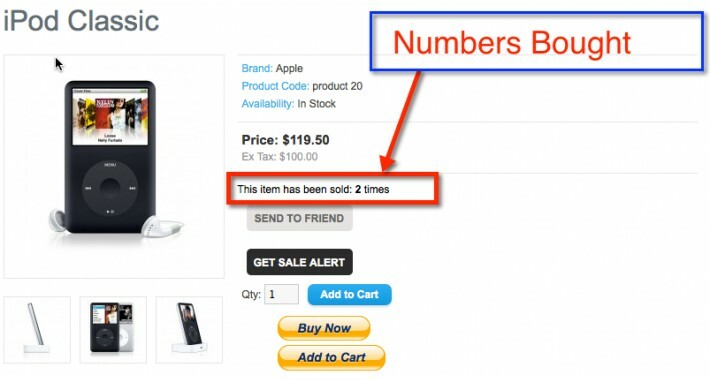 It is configurable from the back office, the minimum quantity displayed. You can also edit the style from a CSS file. You must have vQmod installed to use this!